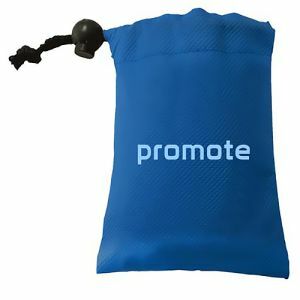 Printed drawstring bags are one of the most versatile promotional bag types available. 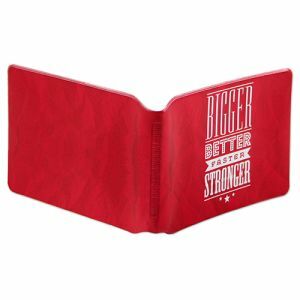 They offer simple portable storage for all your essentials without the bulk of additional flaps and pockets. 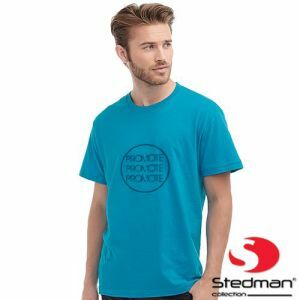 Durable yet lightweight in design, they are perfect for direct mail campaigns, easy to transport, store and display on exhibition stands or at tradeshows. 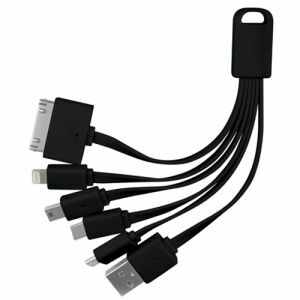 The compact size makes them suitable for all ages from nursery kids right up to adults. 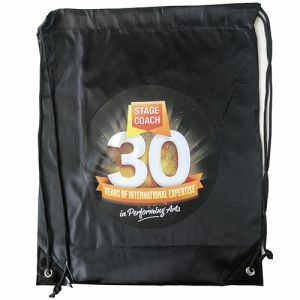 These really are a ‘one size fits all’ personalised bag, certain to flaunt your company logo on the move, long after your event is over. 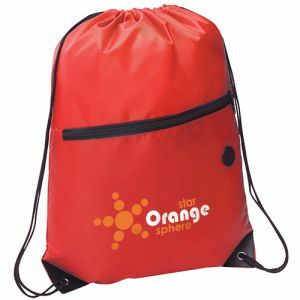 Small children need PE kit bags, shoe bags, ballet bags and travel bags to fill with toys and snacks for long journeys or holidays which are easy for them to carry. 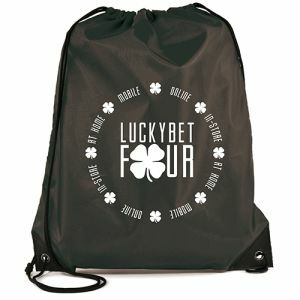 Our custom drawstring bags are brilliant for nurseries, schools, dance or drama clubs, travel companies or hotels either as a giveaway or as saleable merchandise. 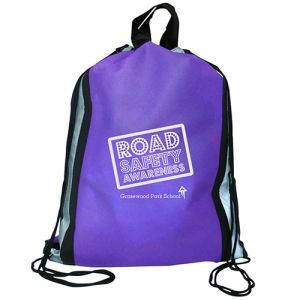 Budget Nylon Drawstring Bags are perfect for this audience as they are a slightly smaller size, come in a wide range of appealing colours and have a large print area for your company branding. 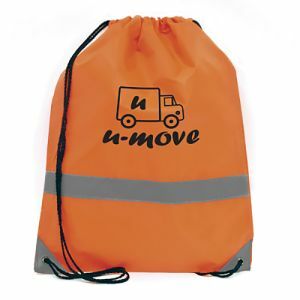 Older children and students use promotional drawstring bags for school trips, gym kits and after-school activities. 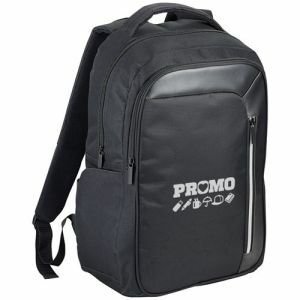 For marketing campaigns that require something a little more hardwearing, look for a larger bag with reinforced corners and extras such as reflective strips or headphone slots. 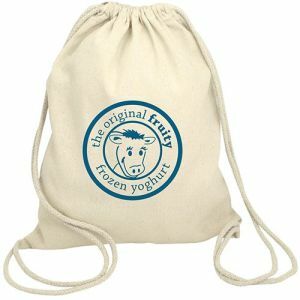 Our headphone slot drawstring bags also have a large front zipped pocket for keeping phones separate from other items so will be a winner with teens and adults too. 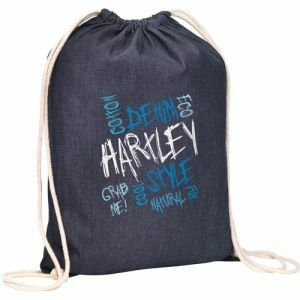 Could these personalised drawstring bags promote your gym, leisure centre, sports club, school or college? 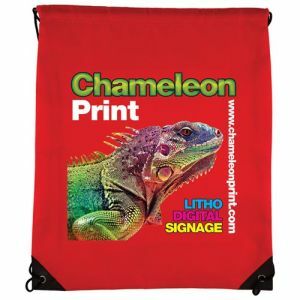 They're available in eight bold bag colours and can be printed in up to 4 colour print to suit your advertising requirements. 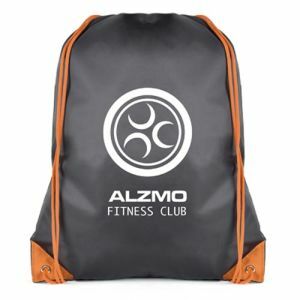 If your target market is sportsmen or women, gym members, health and fitness trainers, sports club and societies, then our Mesh Drawstring Bags are perfectly designed to allow a gym kit to breathe and dry out a little with the benefit of the mesh front panel. 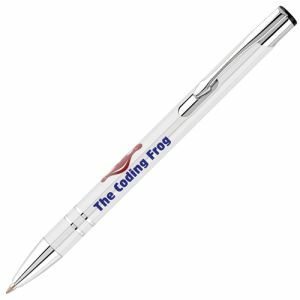 There’s also still a large front panel available for branding so your company logo will be highly visible. 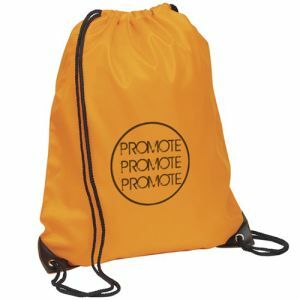 Why not add printed mesh drawstring bags to your saleable merchandise or as a cool giveaway to members? 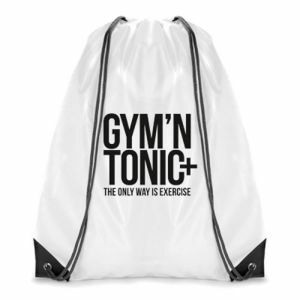 Or perhaps your promotions need a promotional gym bag that will keep the contents dry or stop water leeching out? 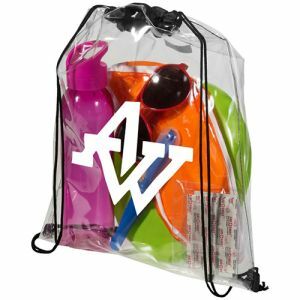 Our Lancaster Clear PVC Backpacks will keep swimming gear dry at the pool, and keep wet kit contained on the journey home. 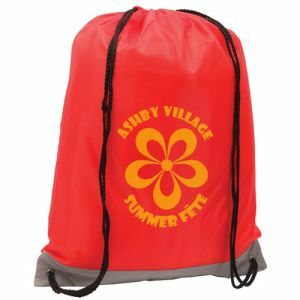 These are perfect for swimming clubs, health clubs, swimming competitions and events as well as festivals, glamping and camping. 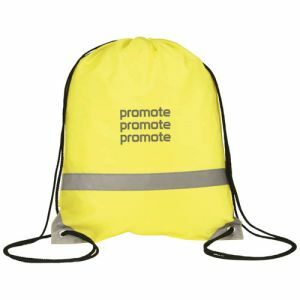 You can also promote your environmentally-friendly credentials and company values with the Recyclable Rainham Drawstring Bag. This will also appeal to a business audience. 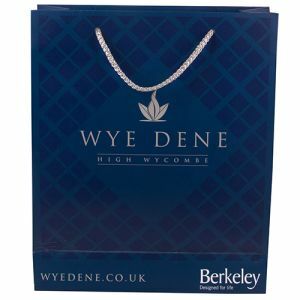 Available in lots of colours to tie in with your corporate palette or event branding, these budget-friendly promotional bags make excellent staff and customer gifts, and can easily tie into seasonal marketing campaigns. 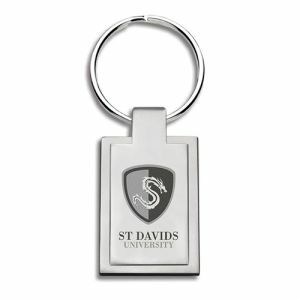 These are also great for university open days and freshers fairs where environmental initiatives and sustainable travel are prominent messages. Festivals are becoming increasingly big business and generate a huge amount of media interest and coverage which is good news for organisers and sponsors. 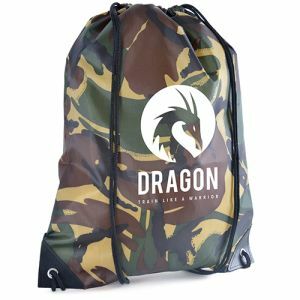 If festival-goers are an audience you’d like to reach, one way could be to give away colourful custom drawstring bags or even to fill them with festival essentials such as lip balm, hand sanitiser and a waterproof phone pouch. 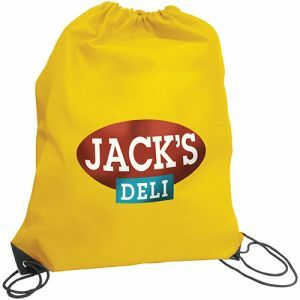 The smooth 210D polyester material of our Full Colour Drawstring Backpacks means your logo will ‘pop’ on whichever colour bag you choose, ensuring maximum exposure for your company. 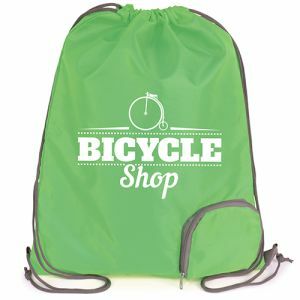 Total Merchandise is proud to be one of the UK’s top promotional drawstring bag suppliers and we’d love to help you find just the right custom drawstring backpack for your target market. 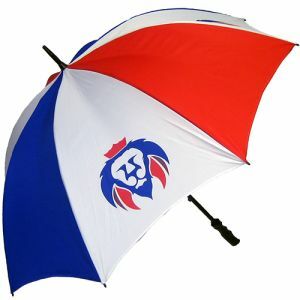 Give us a call today on 01376 509 092.